Diet Ultima Diet Pill Review – Does Diet Ultima Work? Diet Ultima is a diet supplement that is a part of a growing category that is based on the greatly hyped and completely unproven ingredient: raspberry ketone. This substance has created quite a craze despite the fact that there is absolutely no reliable evidence, whatsoever, to indicate that it produces measurable weight loss. 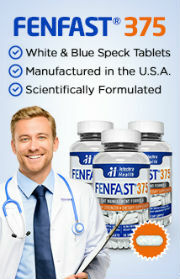 While there have been some preliminary studies that have indicated that is worth looking into further for weight loss purposes, that can be said about numerous different substances and many of those have been shown to be either ineffective or to have unwanted side effects when they are used to the degree that is required in order to produce measurable fat reduction. 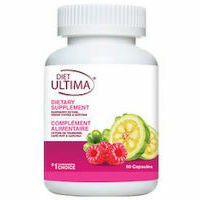 That said, the manufacturers of Diet Ultima have listed a number of different ingredients on the official website for this product, so it could be that these other substances, or the combination of them along with the raspberry ketone, could produce a better benefit than others within the market. 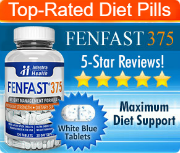 It is important to take a look at the formula as a whole in order to generate a better understanding of what these diet pills can or cannot provide. At the time that this review was being written, the official website listed the ingredients within these pills as being: raspberry ketone, green coffee beans, garcinia cambogia, guarana, citrus aurantium, and white kidney bean. At a glance, anyone who is familiar with the ingredients that are commonly used within this industry can see that this product has been produced primarily for the hype associated with its ingredients. Green coffee bean and garcinia cambogia are in the same camp as raspberry ketone in terms of their lack of scientific evidence beyond preliminary studies. In fact, green coffee bean – which is currently one of the hottest ingredients on the market – is now starting to show evidence of bringing about symptoms of diabetes in some studies on rats, which is not promising. Also worth pointing out is that this product is very high in powerful stimulants. Though the individual quantities are not listed on the website, both guarana and citrus aurantium are strong stimulants and will lead many dieters to experience side effects such as shakes, anxiety, sleep struggles, headache, increased blood pressure, increased heart rate, and others. Furthermore, when it comes to citrus aurantium, there is some question as to the safety of its use. It became popular when ephedra was banned by the FDA when that ingredient proved to be dangerous for many people, causing powerful adverse reactions and even deaths. Citrus aurantium started being used due to its synephrine content. However, the FDA has now released a warning about synephrine because it is also producing dangerous side effects in certain people. Tagged as: citrus aurantium, garcinia cambogia, green coffee beans, guarana, raspberry ketone, white kidney bean.